Google has redesigned notifications in Android N which will include bundled notifications, template updates, and direct reply. With notification template update, the hero image and avatar will get more emphasis while the bundled notifications will allow system group messages together. The direct reply will allow users to respond to a SMS or text message directly within the notification pane without needing to open an app. This feature works for all messaging and IM apps, including WhatsApp. Android N adds support for multi-window which allow users to open two apps on the screen at once and run them side-by-side or one-above-the-other in split screen mode. The company has also added resize option for apps which can be done by dragging the divider between them. Apart from the multi-window support, Google says that users on Android TV devices will be able to put apps in picture-in-picture mode, which will allow them to continue showing content while the user browses or interacts with other apps. With Android N, Google introduced a project called ‘Project Svelte’ which is an effort to optimize the way apps run in the background. The new project is focused on optimizing the RAM usage by the apps and the system. The company is doing this by removing three intent broadcasts, which could wake up multiple apps at once thereby conserving battery life and increasing memory usage. Android N is coming up with native number blocking feature which allow users to block the number at the system level. It provides a framework API to let service providers maintain a blocked-number list. 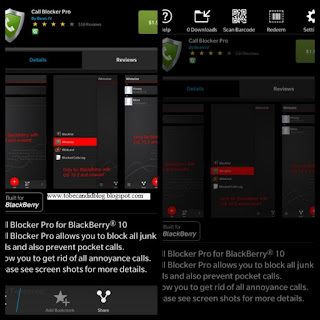 The default SMS app, the default phone app, and provider apps can read from and write to the blocked-number list. The dialer app on Android N also supports call screening, which not only lets you reject calls from telemarketers & spammers but also make sure that those calls don’t reach your call log or your notifications. Like previous versions of Android, the final consumer version of Android N won’t land until later in the year, usually around October, but you can download the developer preview now if you have a Nexus Phone like Nexus 5x, 6, 6P, 9, Nexus Player, or Pixel C tablet. Data Saver is a new feature that helps reduce cellular data use by apps. When enabled, the system will block background data and will also signal apps to use less data in the foreground wherever possible. Users will also get an option to select specific apps to run in the background and use data even when Data Saver mode is enabled. So if you don’t have access to a Wi-Fi connection all day and don’t want your device using a bunch of data while you’re not using your phone, this new feature is for you. Google introduced Doze, a feature mode that saved battery when the device is idle, in Android 6.0 Marshmallow. Previously, the feature had only worked when the phone had remained completely undisturbed for a long time, for instance, when you’re sleeping, but now Google says Doze will also save battery any time the screen is turned off. It points out that on turning the screen on or plugging in the device will bring the device out of Doze automatically. This will help the device to improve the battery life. Just like Apple’s recently released ‘Night Shift’ mode in iOS 9.3, the Night Mode in Android N allows users to adjust the screen temperature for ease of use at night. The night mode in Android N enables user dark theme across the device during night. It also applies a yellowish tint in order to suppress the blue light coming from the display. The feature also lowers brightness automatically depending on the time of the day. You can set your phone to switch on night mode automatically, and you can even choose to use a dark theme instead of Android N’s standard black-text-on-white look. To enable it, go to Settings -> System UI Tuner -> Color and appearance -> Night mode. Google keyboard will also be getting some new features in the Android N. Users can now select different themes for stock Google Keyboard. There are 14 preset solid color themes available to choose from. Users can also use their own image as the background for the keyboard. Android N will also include new emoji characters that are Unicode 9 certified. In Android N, Android TV users will have the ability to record and playback content from Android TV input services via new recording APIs. In addition, you will also be able to schedule a recording in advance or record while you are watching.